Listed here are some of the organisations and individuals who are supporting the ArtsMatterNI campaign. The Irish Language Theatre Company in the North of Ireland. Based in Belfast, it is the resident theatre company in the Cultúrlann McAdam Ó Fiaich – an Irish language arts and cultural centre in West Belfast. An Compántas Amharclainne Gaeilge i dTuaisceart na hÉireann. Lonnaithe i mBéal Feirste, is é Aisling Ghéar an compántas amharclainne cónaitheach i gCultúrlann McAdam Ó Fiaich, ionad ealaíon Gaeilge ar Bhóthar na bhFál in Iarthar Bhéal Feirste. The All Set project delivers cross-cultural programmes in schools throughout N. Ireland linking all sectors within formal education settings. These programmes are unique to All set and have been running in primary schools since 1996. Is eagraíocht Ghaeilge muid a chuireann teanga agus cultúr na nGael chun cinn trí oideachas, ealaín, seirbhísí teaghlaigh agus pobail, agus obair fhor-rochtana. An Droichead is an Irish language organisation that promotes the development of Irish language and culture through education, arts, family & community services, and outreach work. Formed in 1991, Andersonstown Traditional & Contemporary Music School is a community based music project that provides opportunities for everyone to participate in music classes and activities throughout Belfast. Array studios was established in 1994 by a group of early career artists intent on making a difference to the world of visual art in Belfast. Arts & Business (A&B), formerly known as The Association of Business Sponsorship of the Arts (ABSA), was set up 35 years ago as a UK wide creative network that advocates and facilitates creative partnerships between the private and cultural sectors. The ADF is a catalyst for empowering disabled people who are interested in the arts. Based on the York Road since 2000, Arts for All has been a bedrock of community arts in north Belfast for 15 years. ArtsEkta is a multi-award winning cultural organisation that works to develop intercultural relationships at the heart of the community and is home to the Belfast Mela – the largest celebration of cultural diversity on the island of Ireland. Beat Carnival’s role is to create and produce carnival arts, organise and direct performances, train and develop artists and encourage community participation and ambition. Belfast Community Circus acts not only as a vehicle for bringing about personal development through teaching children and young people in some of the most disadvantaged communities in Northern Ireland, but also as a training school for professional teachers and performers of circus arts. Belfast International Arts Festival, formerly known as Belfast Festival at Queen’s, is the city’s longest running international arts event. The Belfast Music Society was founded in 1921 to promote the performance and enjoyment of classical chamber music. As a membership-focused atelier, BPW provides a fully equipped and purpose-built studio with year-round access for a capacity of 100 artists. The goal and ethos of the Society from the beginning has been to ensure that the shared traditions of Irish music and dance are available to all sections of the community in a neutral setting. Big Telly is the longest established professional theatre company in Northern Ireland. Their mission is to invest in the development of professional theatre, theatre skills and creative expression through theatrical experiences that surprise, stimulate and entertain. Bruiser Theatre Company is Northern Ireland’s foremost physical theatre company, producing high quality theatre that excites and stimulates audiences. Cahoots NI is a Belfast based theatre company producing boldly innovative work for children and their families; their distinctive style combines magic and illusion, physical theatre and original music. Catalyst Arts was formed in 1993 in response to what was seen as a cultural vacuum. It is Belfast’s primary artist-led organisation. The Cathedral Quarter Arts Festival was established in the Autumn of 1999 with our first festival taking place in May 2000. CQAF strive to be welcoming, professional and boundlessly curious; playful, ambitious and rigorous; resourceful, honest, and generous; collaborative, Belfastian and world class. Centre for Contemporary Art (CCA) fosters a wide range of artistic, curatorial, and critical practices through five programme streams: research and production, exhibition-making, public programmes, publishing, and residencies. Comhaltas Ceoltóirí Éireann is the largest group involved in the preservation and promotion of Irish traditional music. The Craft & Design Collective is an independent not-for-profit craft development organisation dedicated to the celebration, support and promotion of excellent Craft, Applied Art and Design. Craft Northern Ireland, is the sector-lead body for the promotion and development of the design-led contemporary craft industry in Northern Ireland. Founded in 1996, Creative Exchange has grown into a dynamic Belfast based visual arts studio space providing essential workspace for visual artists at all stages of their careers. The Crescent is an arts centre and cultural hub where diversity and creativity flourish as we lead the way in artistic development and entertainment. 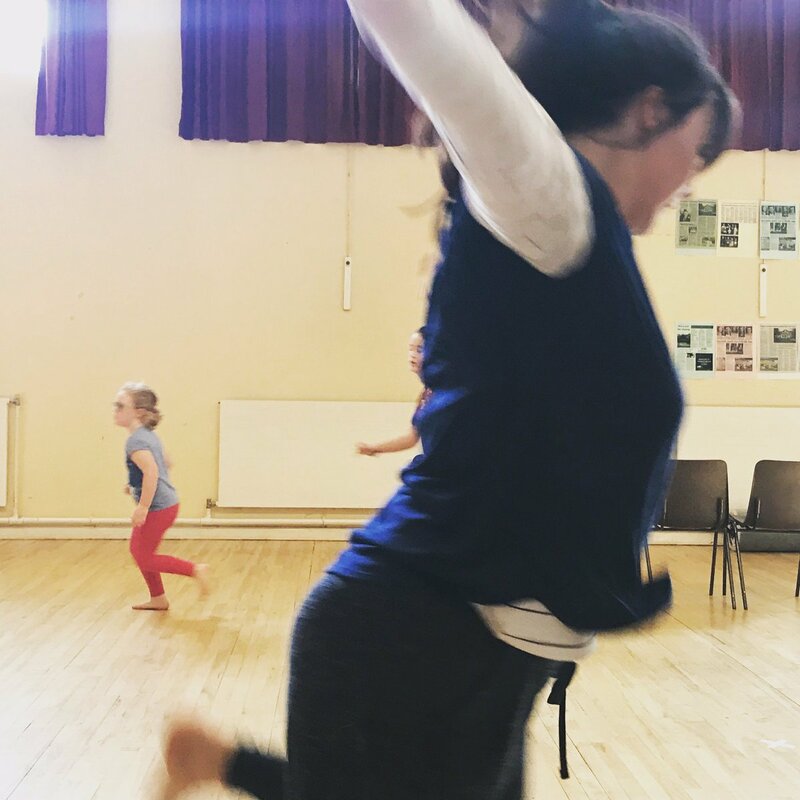 Supporting the dance community in NI, Dance Resource Base provide practical facilities, resources and services for those involved in dance and advocate to raise the profile of the art form. Digital Arts Studios provide Artists’ Residencies, Equipment Hire, Training, Outreach & Exhibitions. Down Community Arts programme workshops in a spectrum of art forms including visual arts, dance, music, crafts, across the Down area and beyond. DU Dance (NI) is a professional dance development company based in Belfast and working across the island of Ireland, the UK and internationally. The company was established in 2009 with the aim of creating high quality professional productions from and within it’s rural base in Northern Ireland while increasing access to high quality professional and community dance in Northern Ireland. Dumbworld is an artist led creative production company. Dumbworld makes work that is to be found at the intersection of music, image and words including film, opera, documentary, oratorio, animation, public art installation, performance pieces, theatre and curatorial projects. East Side Arts mission is to Inspire EastSide residents and visitors by celebrating east Belfast, nurturing creative talent and delivering excellent programmes and events. Echo Echo favours collaborative and co-operative working methods. The company is organised as an ensemble with a group of artists who are committed to long term collaboration and mutual support. Féile an Phobail is based in West Belfast. It provides a programme of arts, cultural and community-based activities throughout the year with its flagship festival, the August Féile being the highlight of Ireland’s festival calendar. Flax Art/Orchid Studios operate as one organisation providing a portfolio of subsidised studio provision for the needs of emerging, mid-career and established artists. Glasgowbury’s aim is to support and enhance the profile of new and emerging artists from Northern Ireland and beyond while making arts accessible and available to all at a local level. Greater Shantallow Community Arts believes in people, and putting people first. The Arts in all its forms, mediums and opportunities is the most wonderful vehicle to allow people to be themselves. Irish Pages is a biannual journal, edited in Belfast and publishing, in equal measure, writing from Ireland and overseas. Duillí Éireann is iris dhébhliantúil é, a chuirtear in eagar i mBéal Feirste agus a fhoilsíonn ar chomhfad, scríbhneoireacht as Éirinn agus thar lear. Kabosh is committed to challenging the notion of what theatre is and where it takes place. The company aims to reinvent the ways in which stories are told, commissioning new writing and devising work for site-specific environments and installation. KIC’s mission is to promote art that is about everything and for everyone, and to create art locations for individual and community discovery. Moving on Music is the leading promoter of jazz, folk, roots, traditional, classical and ‘other’ music in Northern Ireland. New Lodge Arts provide innovative, fun and educational activities that stretch right across the community and political divide in north Belfast. Northern Visons is Belfast’s Local TV Station. A mix of local news, current affairs, arts, culture, music and heritage. Oh Yeah is Belfast’s dedicated music hub, a resource for music makers and also for the business of music. Their mission statement is ‘Open Doors To Music’. Oh Yeah combine the verve and resourcefulness of the music industry with a programme of social value. The mission of Open Arts is to engage with disabled people in delivering high quality activities and events across a range of art forms. PS² = Paragon Studios / project space –[pssquared], is a small artist collective, with studio space in the centre of Belfast. Source is a quarterly photography magazine, published in Belfast, Northern Ireland. They publish emerging photographic work and engage with the latest in contemporary photography through news, thoughtful features and reviews of the latest exhibitions and books from Ireland and the UK. PLACE understand that our environment has a huge impact on personal well-being, economic prosperity, and social cohesion. PLACE think that everybody deserves to live in a great place, and that design and innovation can transform the way people relate to where they live. Play Resource collect non-toxic waste materials from industry and redistribute them for free to over 2,500 groups and organisations working with children, young people, and community groups all over Northern Ireland. Millennium Court Arts Centre houses two purpose-built gallery spaces and has been described as one of Northern Ireland’s premiere art spaces. QSS’s vision is to promote, improve and advance public education in the arts and to stimulate public interest in the Arts for the benefit of the community. Replay Theatre Company makes innovative, quality work for everyone under the age of 19: from the tiniest babies to the oldest teenagers, for children and young people with Profound and Multiple Learning Difficulties, for school groups, for families, for festivals. The Royal Scottish Pipe Band Association Northern Ireland Branch (RSPBANI) is a governing body to oversee Pipe band competition in Northern Ireland. Sole Purpose aim to produce new theatre that contributes to social change, explores the dynamics of human relationships and promotes good relations. The company was created by combining the talents of four women who met during actor training at the Lyric Theatre Drama Studio Belfast. It remains an all-female led theatre company today and is led by Artistic Director Patricia Downey. Sticky Fingers was established in 2002, as the first dedicated arts program for very young children in Northern Ireland. They work to ensure that every child has the opportunity to experience the wonder of childhood and to have access to experiences that will provide them with the confidence, skills and tools to reach their full potential. S.C.C.W. aims to make circus skills accessible to people throughout Northern Ireland – irrespective of gender, age, disability, or economic, religious or cultural background. Based in East Belfast, Terra Nova Productions is Northern Ireland’s only professional theatre company to place intercultural work at the core of what they do. Thrive believe that culture can transform lives and that everyone should have access to this opportunity. To achieve this, Thrive help cultural organisations know and grow their audiences. The Armagh Rhymers are one of Ireland’s most celebrated traditional music and theatre ensembles. For 30+ years we have delighted audiences at international children’s theatre festivals, ritual drama and folk festivals. Inspired by the ideals and ideas of the poet and political writer John Hewitt, The John Hewitt Society provides opportunities for individuals across Northern Ireland to explore issues of difference and identity through literature and creative writing. The award-winning Lyric Theatre makes a unique and vital contribution to the community as the only full-time producing theatre in Northern Ireland. The MAC is a cultural hub and since opening in 2012 has quickly become a beacon for the ongoing regeneration of Belfast. Local community theatre with an education and outreach department, plus a dance studio and gallery. TheatreNI is the representative body to support and develop theatre and the performing arts for all in Northern Ireland including in its widest terms the areas of drama, physical theatre, dance, circus, street theatre, musical theatre and opera. The Ulster Youth Orchestra exists to enable young people from throughout Northern Ireland to achieve their musical potential through the provision of the highest quality of professional tuition. Voluntary Arts works to promote and increase active participation in creative cultural activities across the UK and Republic of Ireland. The theatre performance programme currently includes drama, contemporary dance, ballet, live music, comedy, children’s theatre as well as traditional/cultural events. WheelWorks is a youth arts organisation working with children and young people aged 4 – 25 who may not otherwise have access to high quality artistic activity. Young at Art is one of Northern Ireland’s leading children’s arts not-for-profit companies and home of the Belfast Children’s Festival and Young at Art Events. Visual Artists Ireland is the Representative Body for Visual Artists in Ireland. Visual Artists Ireland provide practical support to visual artists in all art forms throughout their careers. Remember when the UK Government said austerity is over? Not for the arts. Now a report provides evidence that the arts contribute more than the agricultural sector to UK economy. So, as we had forecast, National Lottery funding from Arts Council NI has been reduced and most organisations across the sector have experienced some cuts to their programme capacity as a result. There have been very few uplifts (three in the dance sector, one in verbal arts) but sadly the biggest headline is regrettably that some organisations have been de-funded completely. Whilst the outcome is better than the Arts Council of N Ireland had asked organisations to prepare for, nevertheless it represents further stretching of budgets that have not been increased for approaching ten years. This is another dark moment for the arts here. Another year of cuts imposed on this historically underfunded sector albeit that they were not handed down by a government department per se. But unlike in England and Scotland, there was no offsetting of struggling lottery revenues, instead we have to make do with less. This is another dark moment as we see organisations now threatened with potential closure as result of the removal of funding. Some may indeed find ways to continue, but it may signal the loss of jobs, livelihoods, productions and participation. For the others, it may mean the end. It signals that we are reduced as a sector again, year after year, cut after cut. It means we fall further behind our nearest neighbours, when we need to be as culturally resilient as possible to deal with the increasing and alarming level of change occurring all around us. It says that ultimately, without political champions for the arts locally, the slide continues. If we are to see the concept of a ‘creative ecology’ truly understood and enabled, we need all aspects of creativity nourished and the conditions for renewal and regeneration supported. Balancing the equilibrium by assisting those most in need, not most able, would seem an appropriate intervention. An ecological response cannot be Darwinian, instead it requires nurture and sensitive management, relating to the interconnectedness of our fragile eco-system that is our arts sector here. As organisations across the country are digesting the news of their Arts Council annual funding, it is evident that there will be tough times ahead. As we have said over many years, that without consciously offsetting the year on year downturn in National Lottery monies, the pressures to maintain funding for the "creative ecology" will be increasingly fevered. In the interdependence of a creative ecology, all components feed from and into the ecosystem, creating life and regeneration. But without the environmental conditions to support that cycle, the arc of that possibility can only narrow. There is always talk of our resilient sector. Resilience comes from being exposed to challenges that are NOT overwhelming... and continuing beyond them. And for a great many in this increasingly critically underfunded sector, incredible levels of resilience have been displayed and exercised for decades, however, with more reductions, the challenges have never been greater and for many may in fact now be overwhelming. The full picture of the AFP funding will emerge soon. But the reality is already known.